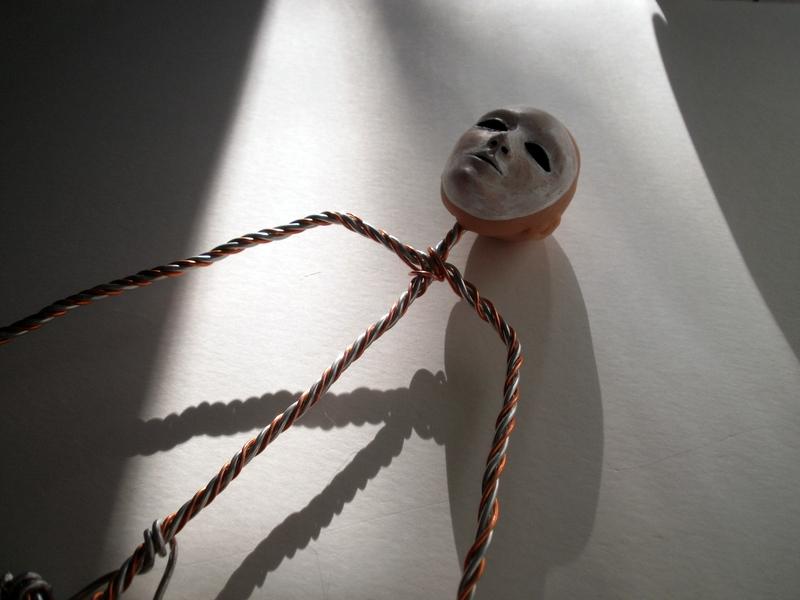 For this puppet, the head will be more like that of a doll instead of an animated puppet because the live action character it is modeled after is wearing a mask. If it needed to do lip sync and have expressions, I would be doing it differently. 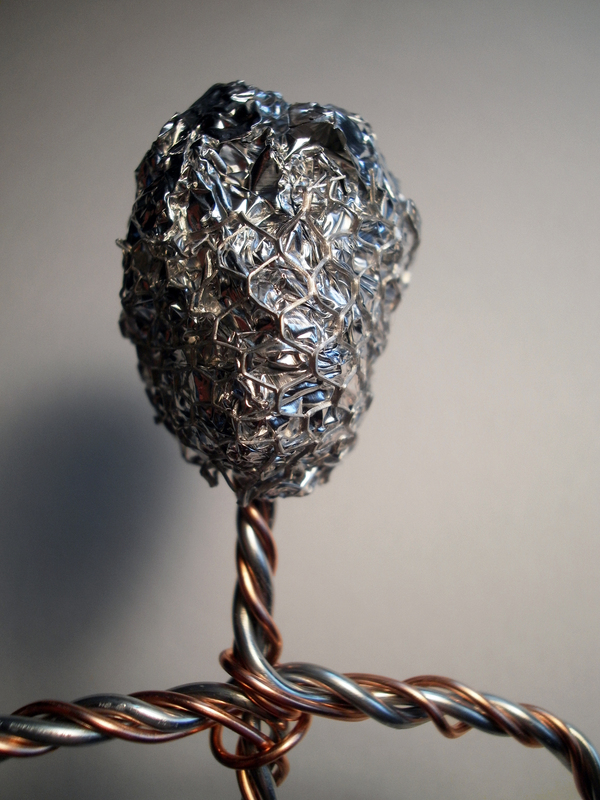 My first step is to make core for the head out of aluminum foil. I don’t want a solid mass of sculpey because it is really important that the head be light so it doesn’t interfere with the character’s ability to stand. The foil core is essential to keeping the head light. It also helps prevent the sculpey from cracking when baked, which can happen when it is too thick. Here you see the head in progress. I’ve included some of my favorite tools in the shot too. The puppet head baked and ready to paint. The puppet has its first coat of paint. By painting very thin layers of acrylic paint, I avoid ridges and achieve a smoother result. 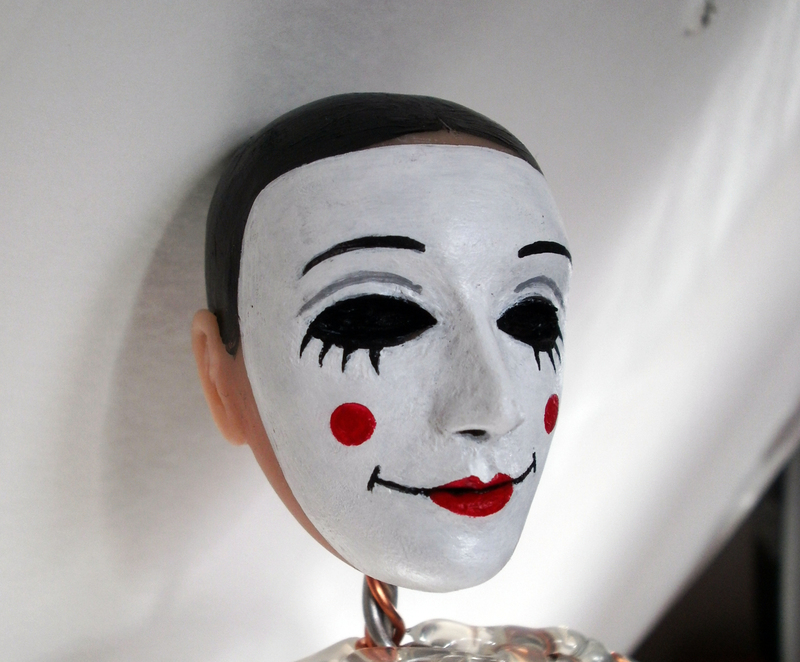 Here you see the puppet head fully painted. I’ve just painted the head black instead of adding hair, because the puppet will be wearing a hood. I’m happy to hear that my post was helpful for you. I took a look at your blog and I think you work is really beautiful! It depends on the project. In this case I did leave the head on the armature during baking. 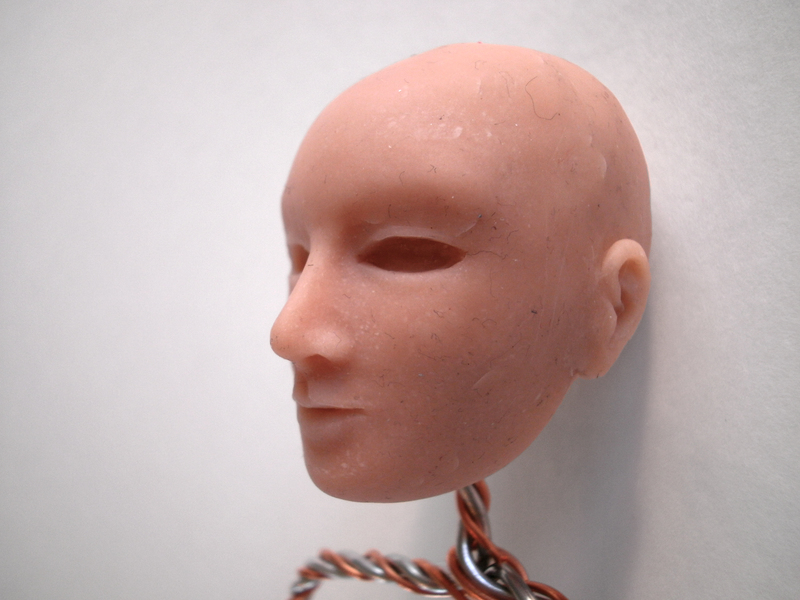 I waited until I was finished baking the head before gluing the magnets because heat will destroy rare earth magnets. 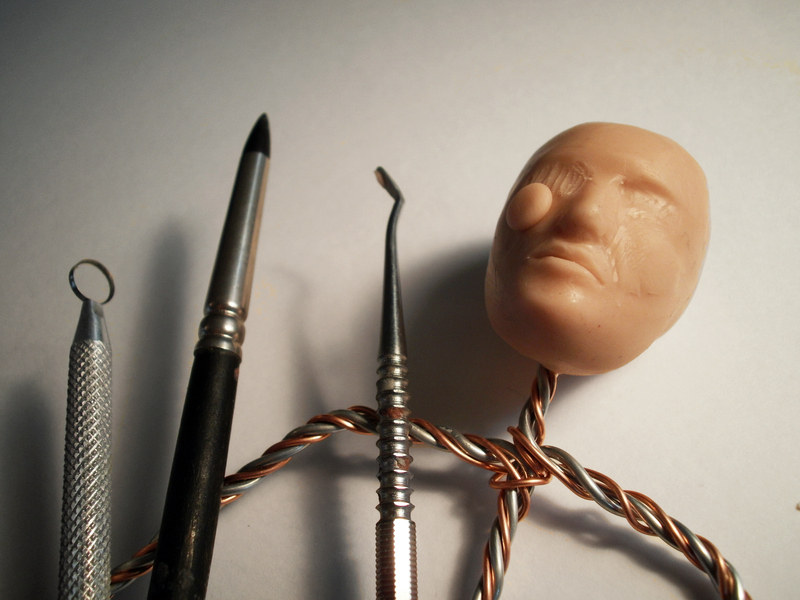 For a head that is to be removed, I will build it over a length of brass channel that is one size larger than a piece that remains attached to the armature.